We have given up on finding a decent 996 C4S with engine rebuilt to replace our 996 C4 and started looking at 997.2 models. I prefer the look of the wide body cars with red stripe across. I have been to see a few and some cars have not sold for a while, a bad sign? We looked at a C4S at Essex Prestige (https://www.autotrader.co.uk/classified/advert/201812042974993?) but seems to have an awful lot of stone chips and small scrapes. The spec looks good but the mileage is highish. 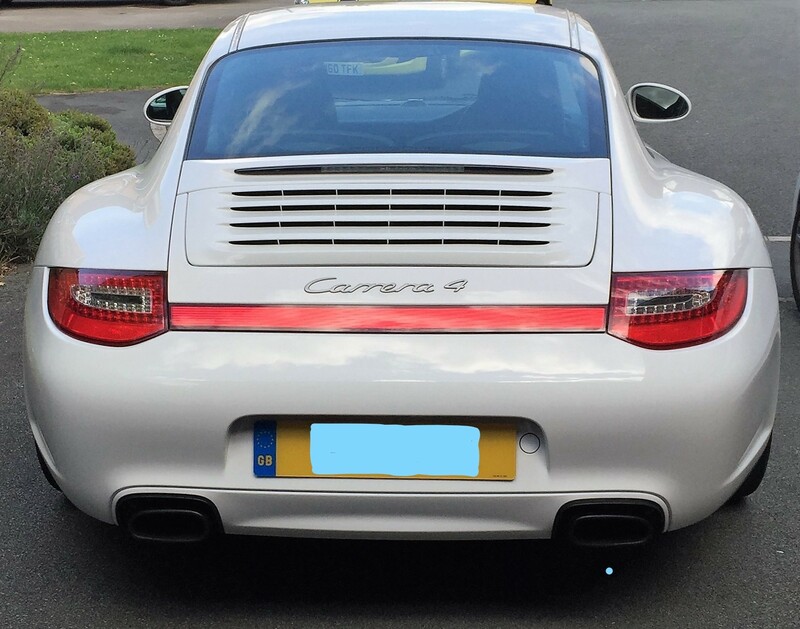 This one (https://www.mr911.co.uk/cars/porsche/911mk997/3.6carrera4coupepdk/159797/0)looks to have better bodywork and with lower mileage but it’s C4 than a C4S, is that less in demand? The carbon fibre interior in this car is cracked and the seller offered to replace this. Is this a common issue? Any views on these cars, pricing or general advice purchasing gen 2 cars please? ...has your quest revealed a lot of rough cars or just overvalued? What is your view on the market? The market is VERY slow at the moment so I wouldn't worry about whether a car has been on the market for a while. Judge each one you view on its specific merits. The C4 is pretty much just an awd alternative to the C2 and will command a small premium. The 3.8 (S) cars will always be dearer than an equivalent 3.6 and the C4S seems to have held its value better than any 997 Carrera - bar the GTS. Going for a Gen2 997 is a far better option than a 996 or 997Gen1. A few cars we saw were a bit rough and surprised they were not better looked after. The values of some C4S are not far off 991. I like the size of the 996 and drives well but my wife also need to use it so prefer something newer. Hence the C4/C4S, so better in wet conditions. I prefer to spend around £35k and it will be used regularly. Also most of the cars are black, not my first choice. I agree with T8 that 997.2 is overall a better prospect, at least for us. I wouldn’t spend my money on a non-S as they remain unpopular in the U.K.
I’m not keen on the old Turbo wheels as they look a bit Gen 1 and the Turbo II wheels are nicer. 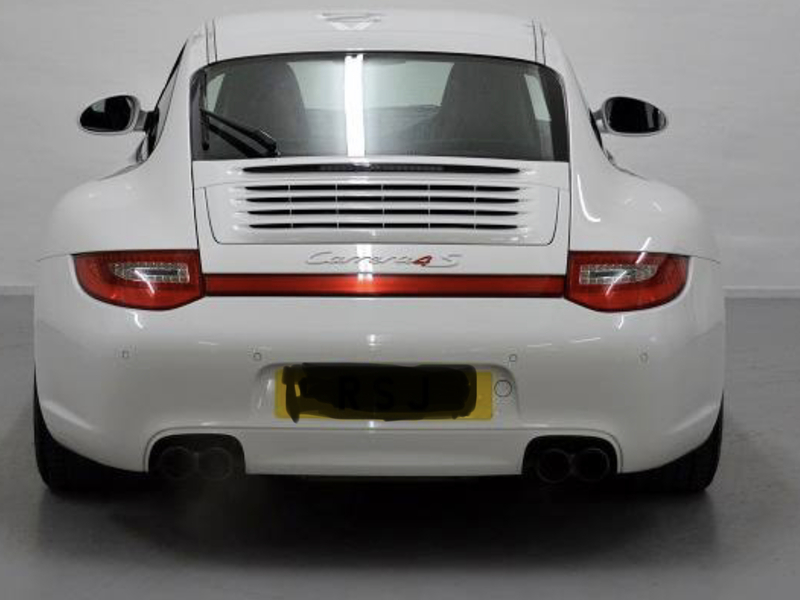 35k will probably mean some compromise on a 997.2 C4S. There really is no good reason for the non-S cars to be unloved. 345bhp is plenty and pretty much equal to the 997.1 S cars. I've never needed more power in my car. but you do need to be eyes open ,for instance this looked nice at first glance and to 99% of people they would be happy BUT its missing the rear red boot flash that the gen2 had but not the gen1 this means somethings amiss . it could be innocent and the previous owner didn't like it and swapped it, but more likely its been tail ended and repaired with what was on ebay at the time. Did they make a 997 c4 non S version? I thought there was only the 2wd Carrera in the 325 bhp option in the 997 range? I have driven both and there is very little in it in terms of on the road performance. The c2s is defo more torquey and it has more toys on it from standard such as PASM, red callipers etc. yes they did mate, exactly the same as the C2 but wide bodies and AWD, Made in both gen1 and gen2 the gen1 didn't have the red band on the back but the gen2 does . Which is the same for the 4S cars as well. Thanks for your advice guys. I wouldn’t discount the C4, however I did imagine it would be a few £k cheaper? The C4 at Mr911 look okay but it doesn’t have a sports exhaust and the colour is not exciting. It is a two owner low lmileage car. I think I would have to go bit higher with the budget to get what I want. The c4s would fetch a premium over the normal c4 and like with the normal c2 v S prob more spec from the factory? I noticed a significant slowdown in the number of cars coming to market just before ( and over) the xmas period, which is probably to be expected. Personally, I would hold out for the more desirable 'S' version, the added extras are well worth the additional premium. Given your budget and desire for a Gen2, buying privately should get you the car you want. BTW you might want to test drive the 2S, your misses would have to be really pushing the car hard to get it bent out of shape! particulary love the wide shape & hips with the red strip across. To drive is great very sure footed coming out of corners & handles realy nice, plenty enough power thats usable in my opinion, either 4 or 4$ would be nice. The main criteria is a 997 gen 2 coupe but everything else we are keeping on open mind. I do like the red stripe and the wide shape but the main reason for a C4 was so my wife could drive it. She has managed to lose traction on the M3 a few times . I may have to wait a bit longer for more cars to come to the market. If you don’t have too many ‘must haves’ in your criteria, it’ll make things easier. The S cars tend to have more options and the C4S cars generally have more boxes ticked than a C2S in my experience. Sports exhaust needs to be there for me, but Porsche were happy to retrofit. I think you are doing the right thing regarding getting a 4, as it’ll get better traction on those cold and damp days. The 2 will let go at times, but often doesn’t lose its line in the process. I had worse RWD cars by far. Didn’t realise the C4 had no parking sensors until now. Its too damn good in the wet, immense grip, Herman white never seemed like letting go and you could feel those front wheels gripping. Herman yellow, on the other hand, is a frightening beast in the wet.